1. Pattaya Beach in the south the most popular beach. 4. Sunset Beach in the west, which as the name implies, faces the sunset. 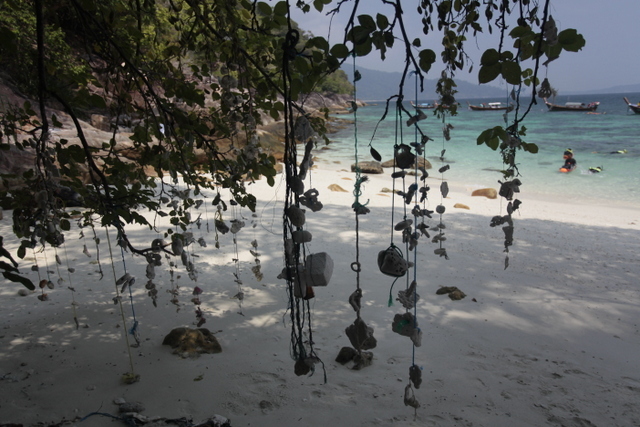 Koh Lipe is immediately south of Koh Adang and is inhabited by about 500 chao naam who are said to have originated on Koh Lanta in Krabi Province. They subsist on fishing and some cultivation of vegetables and rice on the flatter parts of the island. 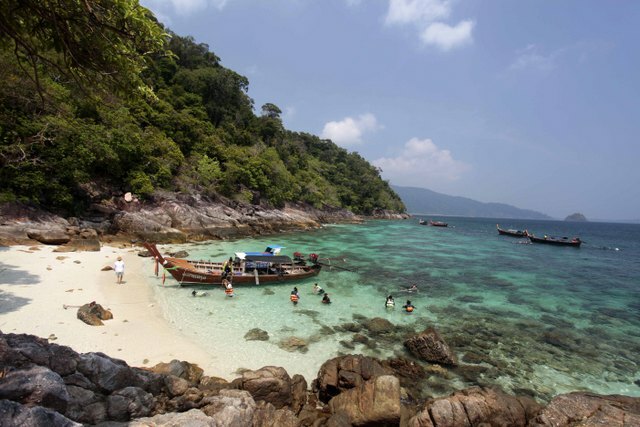 Koh Lipe is outside of the Tarutao National Park jurisdiction, and as such is exempt from the laws and legislation that protects the rest of the national park. 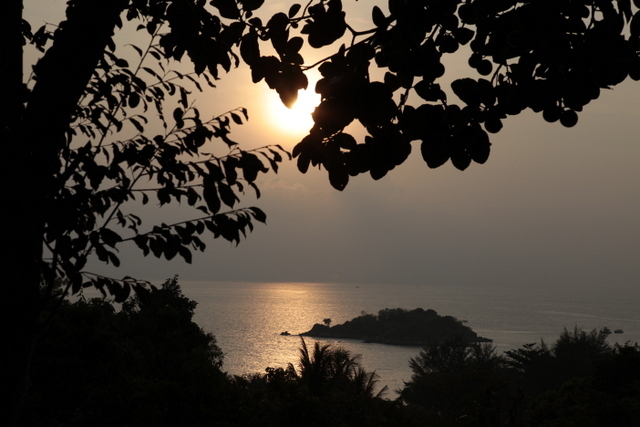 The island is rapidly growing to meet the demands of increase in tourism, and is facing quite a few issues with rubbish and animal conservation. One reasons of the rising numbers of tourists here is "Tarutao Survivor"on reality TV show. 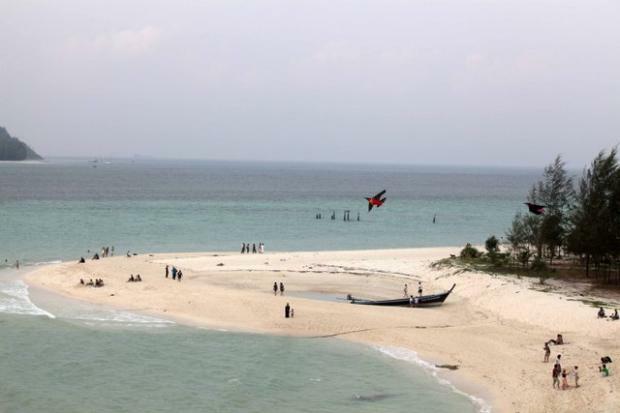 Koh Lipe is not under park control, and has thus become the main place to stay in this part of the park, given the limited facilities on Koh Adang. Several bungalow operations have been set up in the main village along the east coast and on Pattaya Beach, on the southern side of this island. There are also one or two simple restaurants and shops in the main village. You can walk overland between the village and Hat Pattaya in around 20 to 30 minutes, or take a long-tail passenger boat for 30B. There is a coral reef along the southern side of the small island and several small beach coves. The chao naam can provide boat hire to nearby islets ringed by coral reefs. Pattaya Beach is the nicest of the two main beaches, as the one in front of the chao lay village is partially covered with boat moorings and some litter. However, the little island just opposite the village, Koh Kra, has some well-preserved coral and makes for fine snorkeling. You can easily swim there from the village beach. One can camp here, or rent a hut from the chao naam for 200B to 300B a night at any of several bungalow operations in or near the main village along both the east and west coasts. 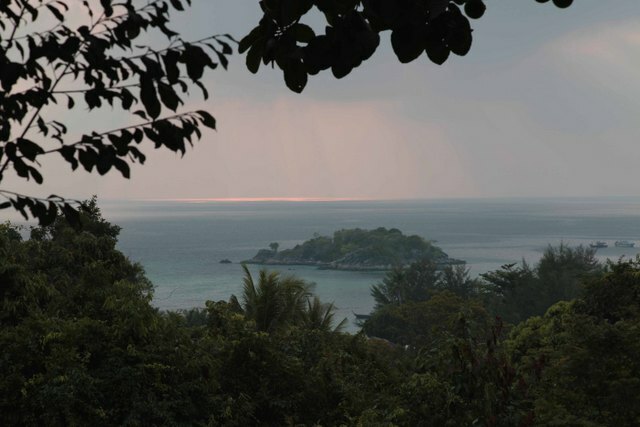 Officially, Koh Tarutao National Park is only open from November to May, visitors who show up on the islands during the monsoon season can stay in park accommodation, but they must bring their own food from the mainland unless staying with the chao naam on Koh Lipe. Bungalows may be booked at the park office in Pak Bara (tel. 074 711 38/3), but no English is spoken here, or through the Royal Forestry Department (tel. 025 614 292) in Bangkok, For Koh Tarutao and/or Koh Adang, you may want to bring some food of your own from Satun of Pak Bara - the park restaurants are a bit expensive and nothing to write home about.